We are a leading Service Provider of plc repair services from Pune, India. 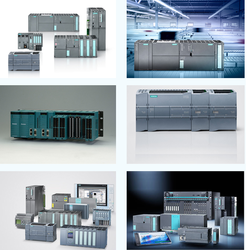 Siemens offers the right controller for a wide range of automation requirements. The SIMATIC range of controllers comprises of Basic, Advanced, Distributed, Software and Motion Controllers offering impressive scalability and integration of their functions. The engineering in the Totally Integrated Automation Portal (TIA Portal) enables optimum automation solutions to be found for every application. Built-in Communications: Ethernet TCP/IP (onboard all S7-1200/1500 series) for PROFINET IO communications, programming and third-party fieldbus protocols. PROFIBUS is included (either onboard or added module). Connections to existing controllers: Options including native PROFINET, PROFIBUS, Modbus, Modbus TCP, TCP/IP and Open Ethernet protocols. Ability to share data via EtherNet/IP without any code modifications to current installed controllers. Looking for PLC Repair Services ?